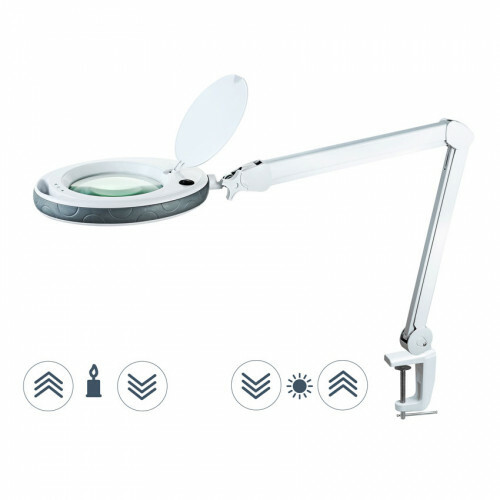 Magnifier lamp with 3-diopter lens. Adjustable intensity of light from warm to cold. The lamp can be mounted on a table or on a stand.